Michael Ausley Maddux was born August 27, 1961 in Dayton, Ohio. 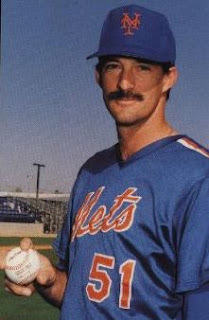 Mike Maddox is the younger brother of future Hall of Fame pitcher, Greg Maddux. The six foot two right handed pitcher attended the University of El Paso Texas. He was then drafted by the Philadelphia Phillies in the fifth round of the 1982 draft. He pitched five seasons in the minors before getting a 1986 call up to the Phillies. He made his MLB debut on June 3rd pitching into the second inning, as the Los Angeles Dodgers welcomed him with five runs on five hits. He took his first loss that day & started out at 0-5 before getting a win on August 15th. In his first year he was 3-7 with a 5.42 ERA. After that season he became a career journey man middle reliever for 15 seasons. He pitched with the Phillies (1986-1989) for four years going 10-13 overall with a 4.40 ERA. He then went to the Los Angeles Dodgers (1990) & San Diego Padres (1991-1992). It was there in 1991, Maddox had his best year, going 7-2 with five saves & a 2.46 ERA in 64 games. The following year he was 2-2 with nine holds, setting up some games for closer Randy Meyers. In December of 1992 he was traded to the New York Mets for pitcher Roger Mason. Maddox debuted for the Mets on April 7th, 1993, at Colorado in the second game of the Mets season. 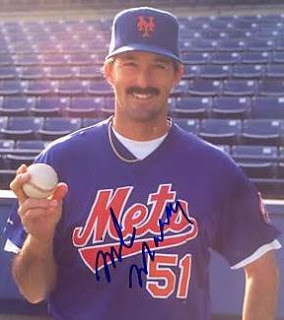 He pitched one inning in relief of Bret Saberhagen in a 6-1 Mets win. 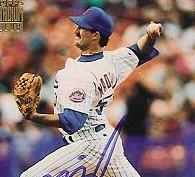 In mid April Maddux got credit for two Mets saves, on the road at Colorado & Cincinnati. Things went downhill as he lost five straight decisions and blew two saves going to through the end of June. On May 1st he served up an 8th inning HR to Gary Sheffield taking the loss. Four days later he blew a save in Los Angeles & took the loss. On the 4th of July he gave up three runs to the San Francisco Giants in the 8th inning, taking his sixth straight loss. In August he had some luck go his way, winning three games, earning a save & a hold lowering his ERA to 3.38. He would made 58 appearances (second on the staff to Jeff Innis) in 1993, going 3-8 with five saves, three holds & a 3.60 ERA. That year the Mets finished seventh going 59-103 under managers; Jeff Torborg & Dallas Green. The next season;1994, he earned his first win on May 28th, pitching 3.1 innings of relief against the Cincinnati Reds in a 5-4 win. Maddux went 2-1 with two saves posting a 5.11 ERA, in 27 games. He allowed seven HRs in 44 innings while walking 13 & striking out 32. In August the baseball strike happened & the season came to a halt. Maddox was granted free agency at the end of the year & would go on to play for six more teams. He went to the Pittsburgh Pirates (1995) Boston Red Sox (1995-1996) Seattle Mariners (1996) Montreal Expos (1998-1999) & then back to L.A. (1999) & then the Houston Astros (2000). Maddux pitched for a total of ten teams in his 14 year career in 472 games. He was 39-37 with 20 saves, 564 strike outs, 284 walks & a 4.09 ERA in 861 innings pitched. Retirement: Maddux is an avid fisherman, a hunter & golfer during the off season. Since his playing days he became a very successful pitching coach. 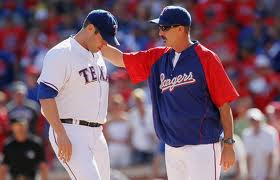 He spent 2003-2008 as pitching coach for the Milwaukee Brewers, leading them to a wild card berth in 2008. That year his staff was ranked the second best staff in the league. 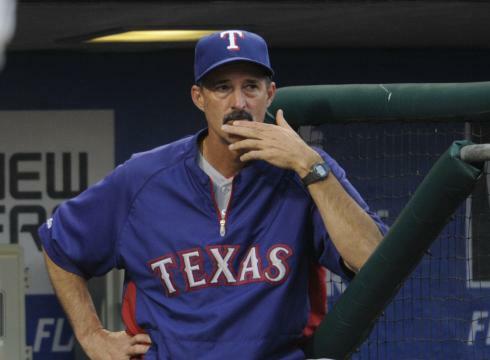 In 2009 he moved over as pitching coach for the Texas Rangers under manger Ron Washington. 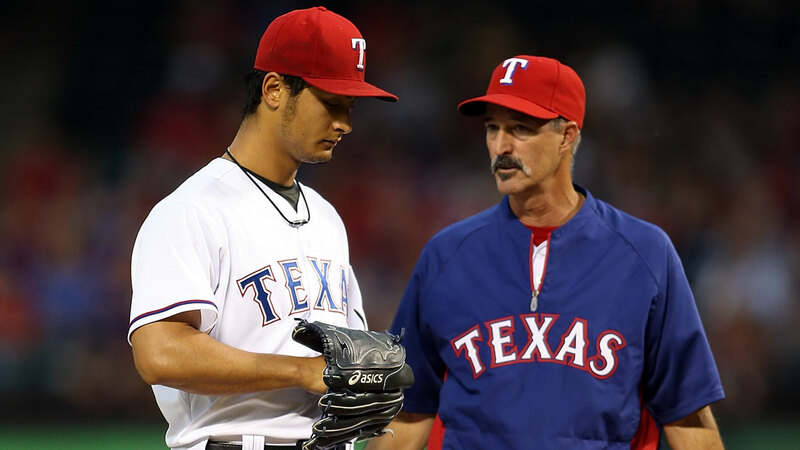 The Rangers organization began to use their pitchers longer, in the old belief that it strengthens the arm making them more effective. The new teams C.E.O Nolan Ryan has certainly proved his point. The Texas Rangers went to their first World Series in 2010 & a made a repeat visit in 2011. In 2010 Maddox staff was fourth in the league in wins (90) third in ERA (3.93) second in innings pitched (1455) & saves (45) & fourth in strike outs (1181). In 2011 they were first in shut outs (7) second in wins (96) fourth in complete games (10) & strike outs (1179) They were fifth in ERA (3.79) & eleventh in innings (1441). In 2012 the Rangers were shocked by the surprising Oakland Athletics who won the division on the final day of the season, after sweeping a three game series in Oakland. 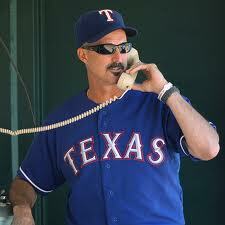 The Rangers then lost a one game wild card playoff to the Baltimore Orioles. Maddux's staff was third in wins (93) complete games (7) & walks (446). They were 4th in strike outs (1286 ) & 7th in ERA (3.99). In 2013 the Rangers finished second to the Oakland A's once again in the West. This time they did not make the playoffs. Maddoz's staff had pitched the third most innings & had the fourth lowest ERA in the league (3.62) but they were also fourth in runs & hits, as well as strike outs. In 2014 the Rangers had falled out of the race altogether & were struggling in the pitching department, at the bottom of the league in wins, saves, ERA, hits, HRs & runs. In 2015 the Rangers started out slow but got into second place by early September and were just three games behind the Houston Astros on September 6th.